It’s amazing that in today’s day and age we can carry around WiFi with us everywhere we go. With just the touch of a button we can have access to the internet and everything that comes along with it. And with iPhone WiFi sharing, we can even share our internet passwords with friends. But when this feature isn’t working, it can be extremely frustrating. And like all technology, things don’t always go as planned. So if you’re asking “why is my IOS 12 wifi sharing not working?”, we have your solutions. Here are a few different ways that you can fix the problem. Step 2: When power slider appears, swipe to “Power off”. Step 3: Leave your phone off for a minute or more, and then turn it back on by pressing and holding the Power button. Step 1: On your iPhone, go into your Settings option. Step 2: Tap on the “General” option. Step 3: Scroll down to the very bottom of the page until you see the “Reset” option. Step 4: Tap on “Reset” and then “Erase all content and settings”. Step 5: Enter your passcode if needed.. Step 6: Tap “Erase iPhone”. This will cause iTunes to start erasing data and restoring your phone. Note: Remember, this option erases all of the data on your phone, so be sure to have everything you want to keep backed up on iCloud before beginning. If the above two methods can help you fix the “iOS 12 WiFi Sharing Not Working” problem, you may need to perform a complete reset on it to erase all the data and start the phone again. iMyFone Umate Pro for Windows or iMyFone Umate Pro for Mac can help you completely reset your iPhone to its very original state like you never use it before, so it will help your fix the WiFi problem too. iMyFone Umate Pro is also a software that is designed to secure your privacy on your iPhone. When you reset your iPhone with other methods, your data becomes invisible to the human eye, but is still stored deep down in the memory of your phone. 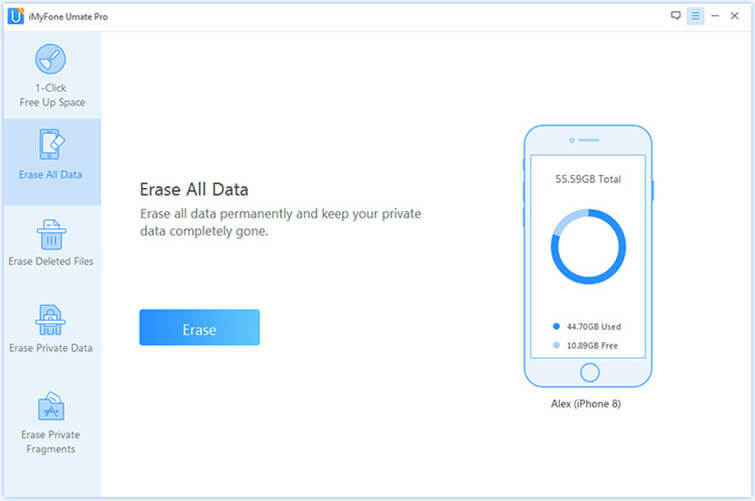 With Umate Pro, all data is erased completely from your phone, with no chance of recovery. So what are the benefits of using Umate Pro reset over a typical iPhone reset? With iMyFone Umate Pro, there is no chance of data recovery after a reset. 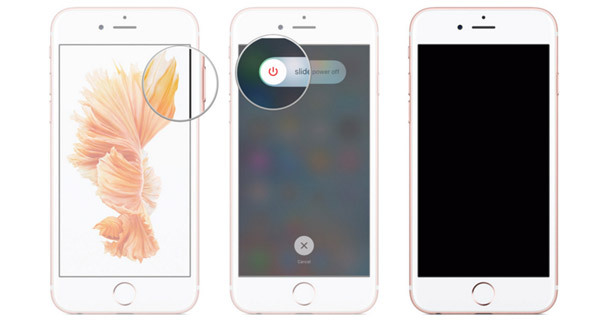 With an iPhone reset, your private data is still vulnerable. With iMyFone Umate Pro, you have the option to scan and erase deleted files, as well as clean out junk files. These are not options provided with the iPhone reset. 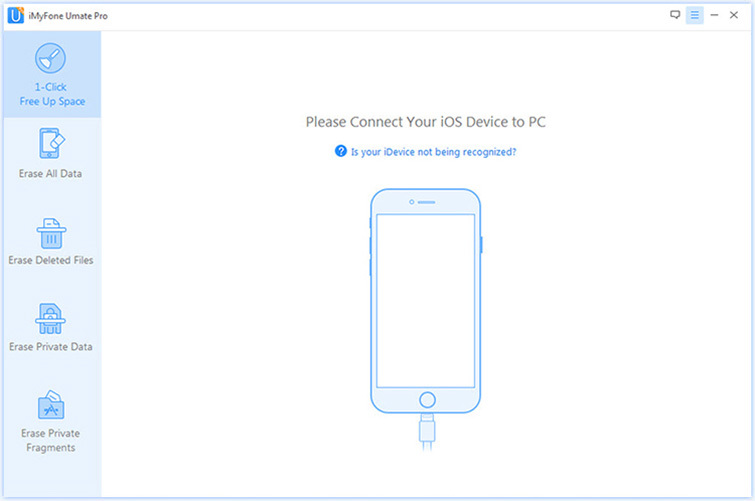 Step 1: Connect your iPhone to a PC and launch the software. 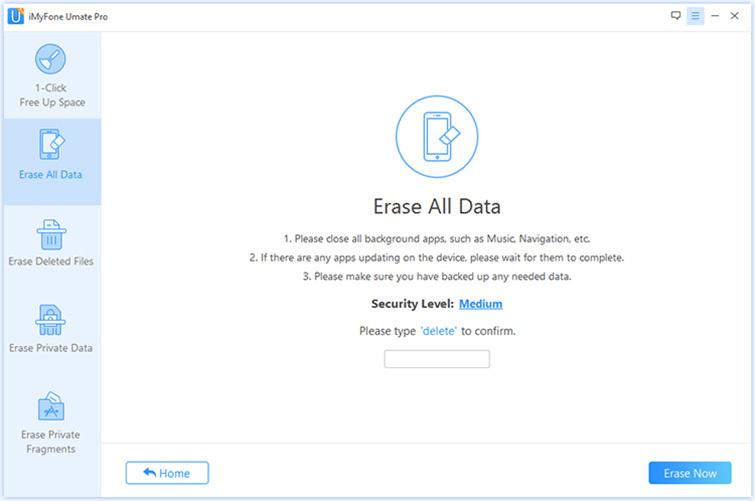 Step 2: In the left-hand panel, select “Erase all Data” and click on “Erase”. Step 3: After typing delete in the box, it is important to change security levels but you should choose carefully out of the three, which is suitable by you. Step 4: After typing delete and confirming all required, you can now click on “Erase Now” to erase all your iPhone data. Note: Remember, there is no chance of data recovery after you have selected this option, so be sure that you have all data backed up that you would like to save. If you have problems with IOS 12 WiFi sharing not working, try resetting your phone. Sometimes a simple solution is all it takes to fix problems with the iPhone. If this doesn’t work, you can perform a factory reset using the settings option on your iPhone, or using iMyFone Umate Pro to do a complete reset.